Scarlet’s life, as lives go, was a good one. 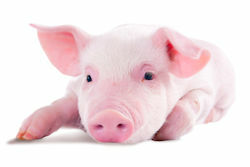 Great job, cute micro pig and a view of one tenth of the Golden Gate Bridge from her living room window. Her boyfriend’s sudden departure, coupled with an undesired job change, and the good appeared to be fading. Good was barely visible after one dark and stormy night. 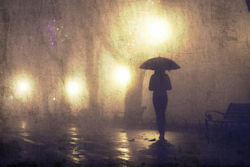 In truth, there was no storm, but it was dark. 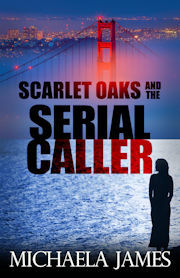 Misquoting a sports analogy, Scarlet unwittingly inspires the first serial killer San Francisco has seen in some forty years. Scarlet soon discovers hosting a late-night men’s call in show could prove deadly. 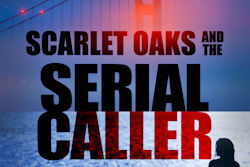 With best friends, Niles and Tom, and their often hilarious help, Scarlet sets out to find the elusive Serial Caller...before he finds her. “That pig is huge!” Niles declared. Tom, hand over his mouth, volunteered no comment. A short snort of laughter came out from behind Tom’s hand. Niles’ mouth moved, but no words came out. Both men, lowering their heads, hastily made their way into the kitchen. Making a little squeal sound, as she always did when Scarlet spoke directly to her, Prudence followed her staunchest supporter into the bedroom. “Happy Thanksgiving to you too, sweetheart,” Tom said, standing to give her a hug. Niles had bent down to make amends with Prudence. But in doing so, struggled with his vow to desist with the rude remarks. Prudence had reappeared from Scarlet’s bedroom wrapped in some sort of shawl. The garment, tied in the center of the animal’s back, boasted sequins, beads, and tassels. Poor Prudence now resembled a spooky little fortuneteller. Aware of the hilarity of this outfit, Scarlet willed herself not to laugh. The trio said their goodbyes to the little clairvoyant then began the journey to St. Christopher’s Dining Hall. “Niles,” Scarlet reproached with a scowl. Scarlet transferred her gaze from the empty table to Niles but still appeared incapable of speech. Opening his wallet, Niles retrieved a card, then, placing a hand over Scarlet’s, dialed Detective Smyth’s number. “Detective Smyth, this is Niles Remmy. Where the hell are your surveillance guys?” In a slightly less accusatory tone, he explained the situation and gave the detective their location. Exciting times are ahead for Scarlet and Sylvia. Mending Men has a new format, and they feel confident the drama is behind them. Their confidence wavers one dark and windy night. In truth, it wasn’t windy, but it was dark. 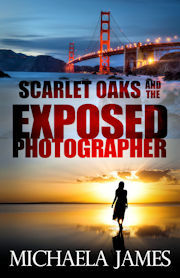 A troubled caller’s cryptic clues point to a man from Scarlet’s past. Is it possible he’s the key to breaking her sister out of an ominous and seemingly impenetrable commune? Nothing and no one are as they seem. Can Scarlet and friends, armed with only a harebrained scheme and spy store gadgets, discover what sinister secrets the commune holds? There’s really only one thing they’re sure of. 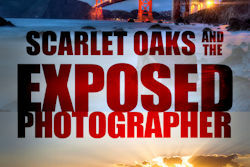 Exposing the photographer is their only hope. 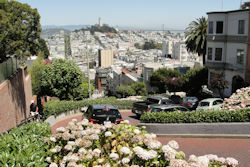 Holding Scarlet as she struggled to catch her breath through rasping sobs, James watched firefighters, paramedics, and policemen run down the steep wooden stairs towards the beach. 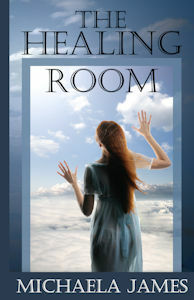 Nodding, James quickly closed the trunk, before racing after her down the stairs. Having reached the beach, James looked out towards the mass of dark uniforms. They had all gathered around a formation of rocks protruding from the ocean. 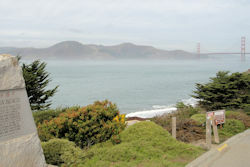 The Golden Gate Bridge loomed beyond in all its splendor. “Dad,” Scarlet screamed, running towards her father. With a bemused expression, Joe embraced his daughter. Relief flooding his body, James walked up to the tightly hugging couple. Unable to speak, Scarlet nodded. Scarlet nodded from her place beside Joe on the back seat. What would you do to have one more conversation with a deceased relative? To see them again, know they’re happy, and that Heaven is just how you imagined. Welcome to The Healing Room. Brought to you by No Divide, a kind and caring company, founded on sentiment. Despite the miraculous transformation of her once reclusive employer, seventeen-year-old Bronwyn questions No Divide's motives. Twenty-one-year-old Mateo, while grateful to have his first real job, struggles with the secrecy surrounding The Healing Room. Converging on the realization No Divide may not be what it seems, Mateo and Bronwyn, with lives on the line, plot to uncover the truth. As we walked into the Columbia Center, she placed a hand next to mine on the handle of Sage’s stroller. We were greeted by a stunning looking dark haired girl with a soft voice and bare feet. Her name was Amshu, and she looked almost fairy-like. I studied her intently as she interacted with Diane. This nymph-like girl with glowing skin was like a beautiful mirage. I felt she was exactly what people in Diane’s state of mind needed to see. She seemed so well designed. So perfectly thought out. Diane turned to look at me before entering the room, her eyes full of hope and expectation. I smiled encouragingly at her. As the door closed, I felt something odd. I felt that this place was far from what it pretended to be. 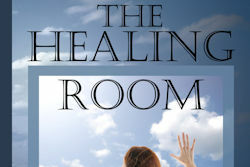 “You’ve got to get into that Healing Room,” Laura said determinedly. “You’re sure Diane can’t just tell you?” Laura reasoned. “Like what?” Skye asked looking alarmed. 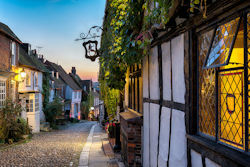 After a decade with the Manchester PD, Craig Monroe is more than ready for the quiet life afforded a village detective. Dreams of peace and tranquility are shattered, however, when less than a week after his arrival, the local doctor is murdered. The list of Mead residents, with a motive to kill Doctor Hugh Ryland, is alarmingly long. Craig soon discovers Idyllic cottages; stunning countryside and quintessential garden parties are a façade for something dark and sinister. 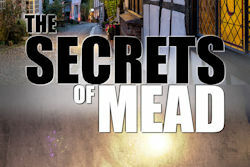 What are the residents of Mead hiding, and how is it possible for one small village to have so many secrets? Perhaps the most shocking secret of all, buried for the last thirty years, will reveal who murdered Doctor Hugh Ryland. With newfound speed, she returned to the kitchen. Receiving no reply, but certain his invitation had been heard, Craig left the Mad Hatter. Ten minutes after the detective left the salon, another customer entered. “Are you certain they can’t hear what we’re saying?” the new arrival asked. “You should ask your kids to leave,” the customer suggested. “What did you tell the detective?” the customer asked without preamble. 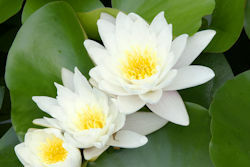 Welcome to my website and thank you so much for visiting. 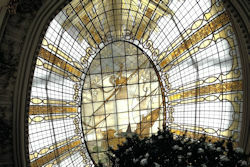 Please check out the excerpts from my novels and my blog, English Trifles. 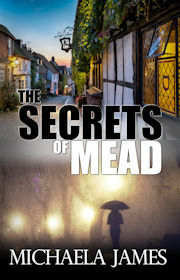 In case we haven't met, I'm the author of four novels, with another coming very soon (The Secrets Of Mead). For ten years, I've been an On-Air radio personality on 93.7 BOB FM in Reno, Nevada. Because of this, I get to have a ton of fun...well, except when I'm asked to be a jockey in a camel race...yikes! I've also narrated over 20 books on Audible.com, which allows me to play with my different voices. My favorite voice is Carver, a really nasty character from a great novel by Jennifer Kohout, Bride Of Devil's Acre. 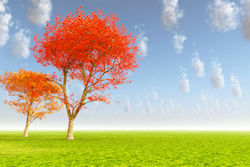 Hope my Novels and Trifles interest you, and so looking forward to making a connection.